In order to facilitate a more advanced search and help you gain insight into what’s trending on YouTube, we are adding a new feature to our Video Advertising reports —”topics”. As the name suggests, YouTube topics group subject-related video content into categories. 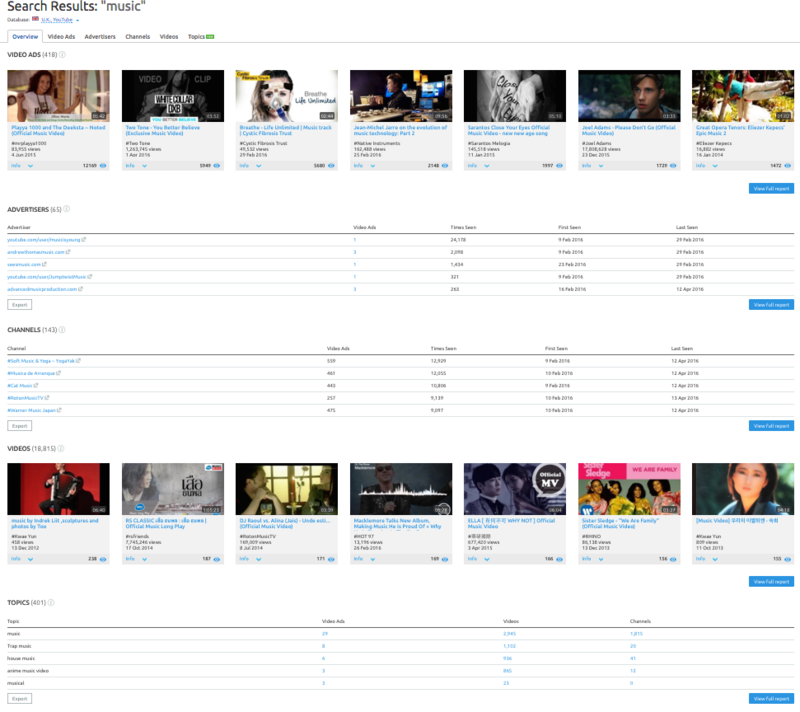 This helps users view all the relevant videos on a specific topic. From a content creation standpoint, knowing which topics are most often discussed can assist digital marketers, advertisers and publishers with locating new opportunities for advertising, finding out new trends or getting inspired with new ideas. Topics are auto-generated keywords for videos and channels on YouTube. As far as we know, they aren't dependent on video or channel descriptions, and they can be automatically generated after a video has been uploaded. However, a video/channel may not have any information about the topic at all. Topics are based on information from the Freebase database, and they can be structured in a hierarchy, but at the moment, we present the topics the way they are on YouTube. Information about topics is presented in a table under the ‘Topics’ column and is available via all Video Advertising reports with the exception of the Advertiser report. Go to the ‘Overview’ tab to see a list of the top topics we found on YouTube. If you click on the ‘View full report’ button, you’ll be redirected to the new ‘Topics’ tab. 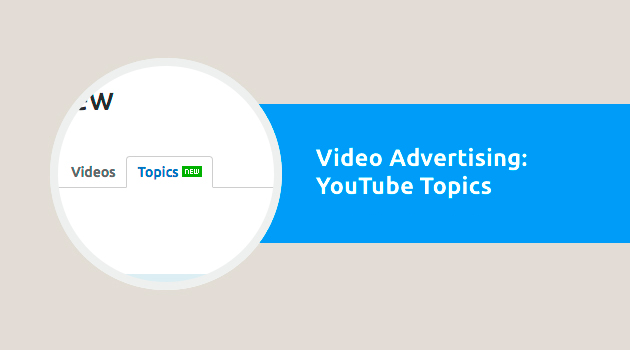 In the Video Advertising Topics Overview report, under the Topics tab, we provide an extended list of all topics for a selected database sorted by video ads count. You can filter your results by topic, number of video ads, videos themselves and channels. All the numbers in the table are clickable. For instance, if you click on the number in the Video Ads column, you’ll see a list of all ads for the appropriate topic. Apply filter settings to narrow down your search. For example, you can include/exclude video ads that were published more than a month ago, viewed less than 10,000 times or discovered in more than 100 videos. Under the ‘More’ column, you’ll find information on when SEMrush discovered the video the first and last time. When you click on a specific video, you’ll see what topics this video ad is listed in, along with the number of ads, videos and channels these YouTube topics are associated with. You can also get a list of topics for any keyword you type in the search bar. For instance, if you type ‘music’ into the search bar, you’ll get a list of all relevant promo videos, advertisers, videos and channels, as well as topics related to the queried word. [email protected]. Thank you for helping us make SEMrush better!